ZAG expands its broadcast reach in the USA with a new Netflix deal for its #1 animated action-comedy series, "Miraculous™ - Tales of Ladybug & Cat Noir." 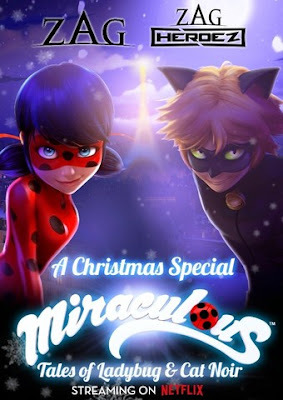 On Dec. 20, Netflix will debut the first episode of Season 2 with the "Miraculous™ - Tales of Ladybug & Cat Noir Christmas Special," a special premiere for the American market. Additionally, Netflix has acquired the USA SVOD (streaming video on demand) rights to Seasons 1-3 of ZAG's MIRACULOUS Ladybug (78 x 22-minute episodes), where the full Season 1 will premiere on Feb. 14, 2017 and Season 2 is expected to launch June 2017. "This expansion is a response to the high demand and changing lifestyles of our huge, digitally-savvy global fan community who pushed Miraculous to #2 ranking on Tumblr TV 2016 with over 5.6MM posts. Our "Miraculers" want access to their beloved show anytime. In most of the world, Miraculous ranks #1 for girls and kids, with an evident and growing family audience," Jeremy Zag, CEO and Founder of ZAG, said.